‘Fantastic Beasts: The Crimes of Grindelwald’ Trailer Coming Tomorrow! It’s official: the trailer for Fantastic Beasts: The Crimes of Grindelwald will drop tomorrow, March 13th, and we could not be more excited! Warner Bros are encouraging fans everywhere to share photos with their #WandsReady on social media, or use the photo uploader on FantasticBeasts.com to make a personalized video to share. Here’s Leaky’s #WandsReady photo from on set of the Fantastic Beasts film (no sharing yet, sadly)! 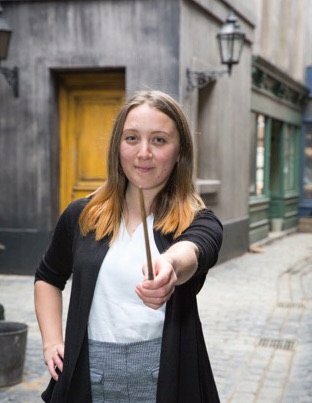 Victoria Yeates (Bunty) also showed her character’s decorative wand for her #WandsReady photo, and discussed her character’s role (as Newt’s assistant!) in a recent interview. Pottermore posted a handy guide to the new Wizarding World logo, which features an interactive graphic sharing more about each featured wand, representing nine witches and wizards who made a huge difference to the stories of Harry Potter and Fantastic Beasts. 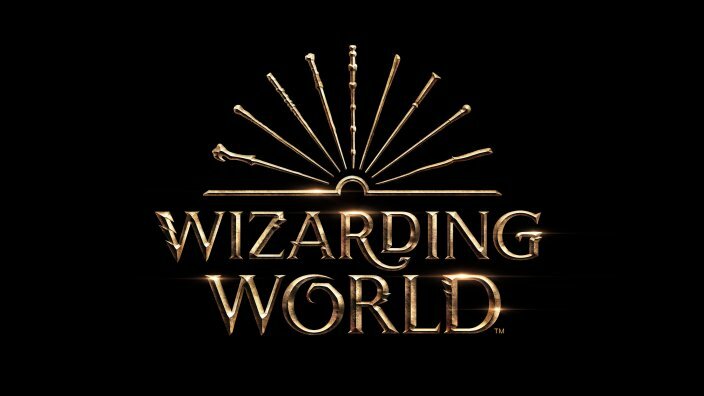 The logo includes the wands of (in order of appearance from left to right): Voldemort, Ron, Harry, Hermione, Dumbledore, Newt, Tina, Queenie and – excitingly enough – young Grindelwald! Pottermore also recapped a few exciting things in store for this year, including Cursed Child coming to Broadway on 16th March, and Melbourne (Australia) in 2019, the release of the Crimes of Grindelwald screenplay alongside the film in Novemeber, Sorcerer’s Stone 20th anniversary editions by Scholastic, History Of Magic opening in New York and two new games (Wizards Unite & Harry Potter: Hogwarts Mystery) releasing under Portkey Games! Crimes of Grindelwald will release on November 16th. Read up on our theories here, see new footage recorded by us from A Celebration of Harry Potter here, photos from the film here, and discussions of Credence’s identity here and beasties returning to the sequel here! We can’t wait to share the trailer with you tomorrow – don’t forget to post a #WandsReady photo on social media!